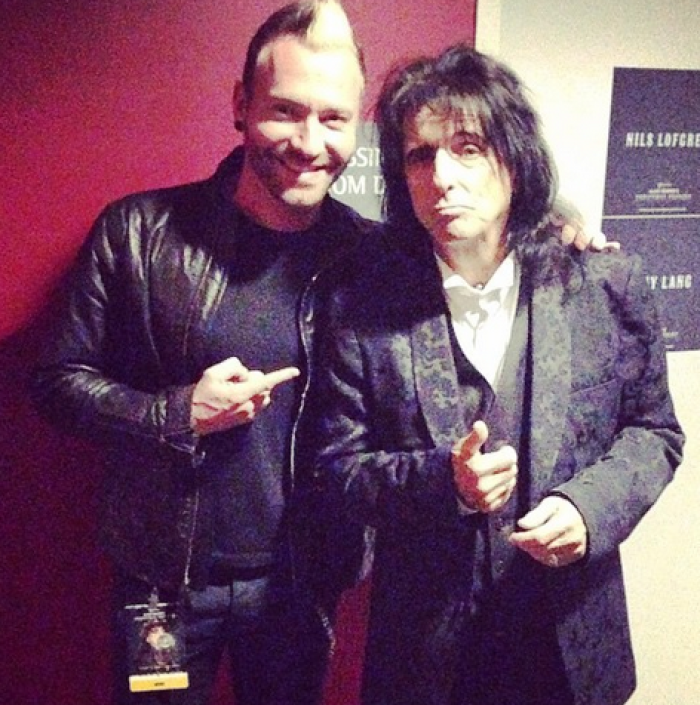 Thousand Foot Krutch and Rock 'n' Roll Hall of Fame inductee Alice Cooper teamed up in order to benefit underprivileged teens this holiday season. The Christian rock band joined forces with Cooper earlier this month on Dec. 13 during the "Godfather of Shock Rock's" annual Christmas Pudding benefit in Phoenix, Arizona. The concert benefited Cooper's non-profit charity, Alice Cooper's Solid Rock, a center for teens that provides free music and dance lessons. On the day of the concert, TFK singer Trevor McNevan posted a photo from the dressing room. "A festive welcome in the dressing room today… #ChristmasPudding #JingleBellRawk #rehearsalday," the singer wrote along with a photo featuring a giant Alice Cooper poster with a snow globe on it. Furthermore, McNevan posed with Cooper backstage at the show and shared a photo, writing, "This guy!! Honored and blessed to hang w the @realalicecooper. #CoopaTroopa #NoMoreMrNiceGuy #solidrock"
On the website for Alice Cooper's Solid Rock, the organization describes itself as "a landing place for teens." "We believe a renewed sense of self-worth and purpose provides a meaningful foundation for the youth in local communities," the site reads. "Many teens today face a future without a solid foundation from broken promises and burdened hearts." Consequently, Solid Rock aims to provide a local sanctuary to support exciting and creative journeys for teenagers. To learn more, visit the site here. Meanwhile, the Christmas Pudding show also featured Nils Lofgren, P.O.D., Jonny Lang, Night Ranger and more. The concert followed TFK's tour dates in Russia that saw capacity crowds in every venue, and the group is still on tour in support of its second number-one selling Billboard hard rock album, "Oxygen:Inhale," released on Aug. 26. Due to widespread success, TFK has earned seven Canadian gospel music awards in addition to earning eight GMA Dove Awards nominations over the past decade. Is the Era of 'Pastor as Motivational Speaker' Over?